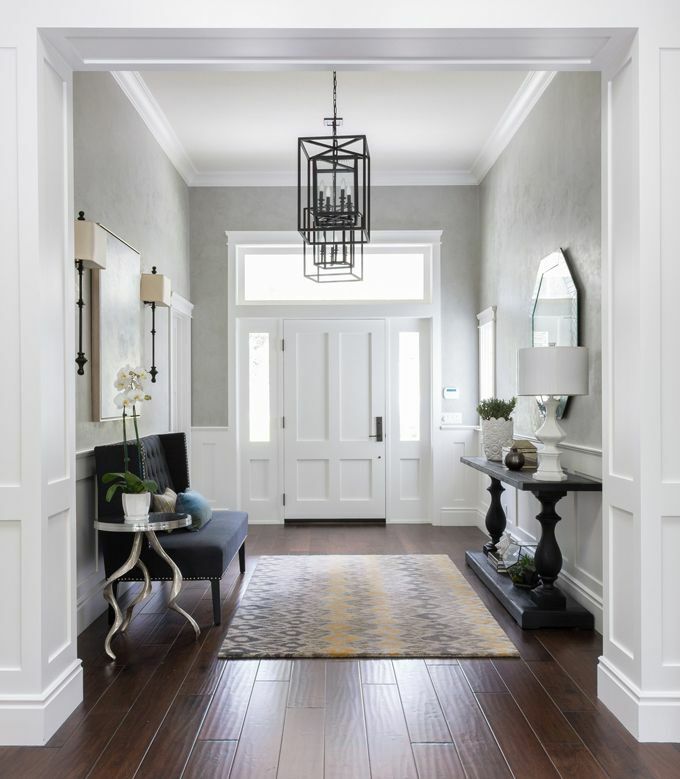 For this post we will look specifically into how to select the right lighting fixture for your foyer, aka entryway, and hallway. 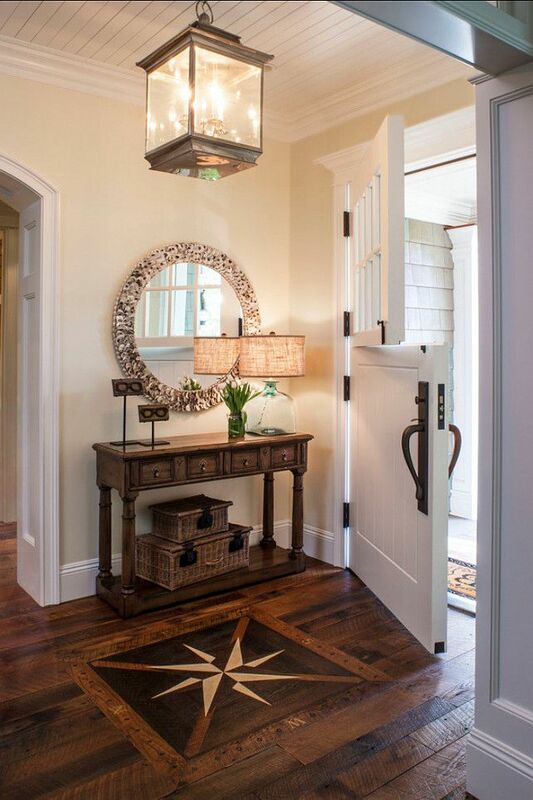 To determine the right width of the lighting fixture, add the with and the length of your foyer (IN FEET). This number represents the proper width (IN INCHES) for the fixture you will need for that space. To determine the right height of the lighting fixture, the bottom of the fixture should be at least 7 feet away from the floor (to make sure your guests' heads will remain unharmed ?). 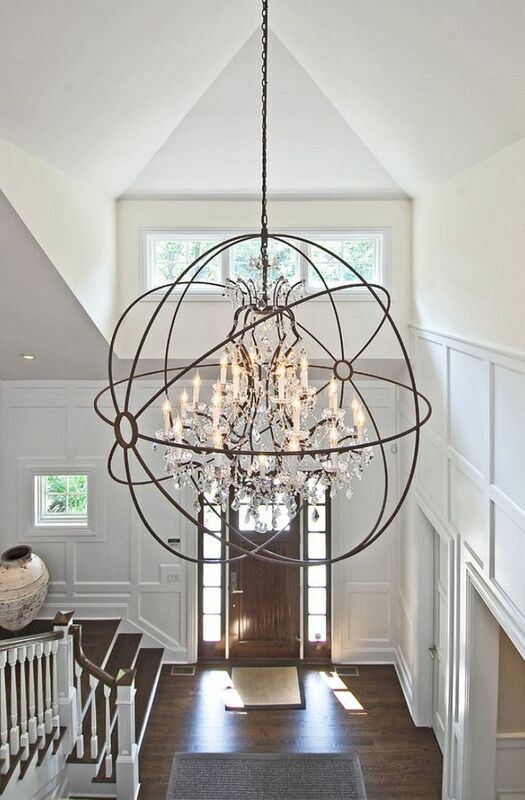 So, depending on the height of your ceiling, you could use a flush mount, a semi-flush, or, if you're the lucky owner of a high-ceiling space, you may feature a beautiful chandelier. 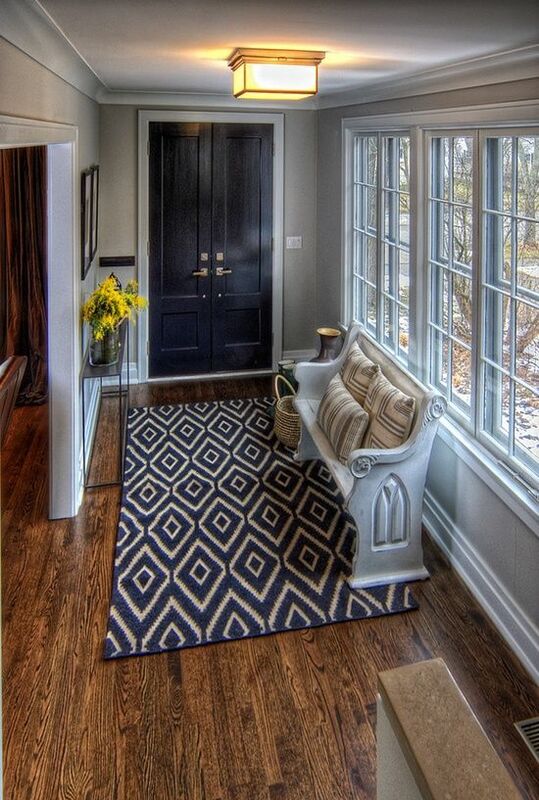 If there's a window above the front door, center the chandelier so it can be seen from outside. 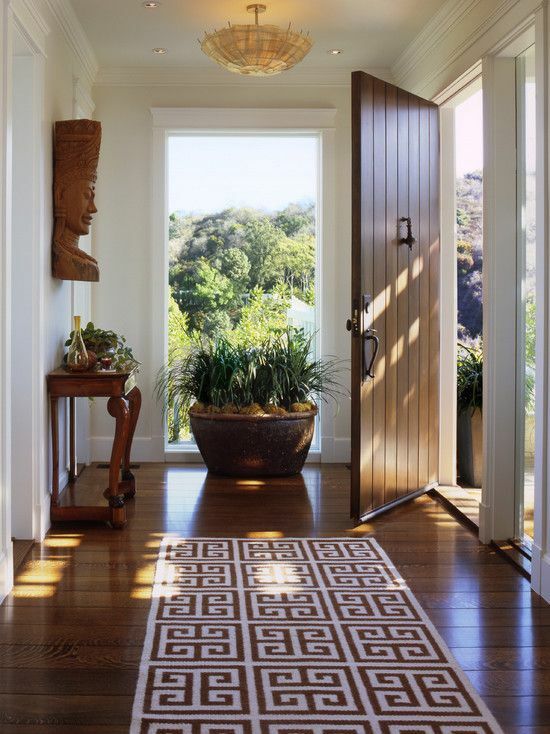 For the hallway, depending on its length, you may have to consider 2-3 fixtures. The rule of thumb is to have a fixture every 8-10 feet. The easiest way is to split the space into equal areas (2 or 3) and treat them as separate spaces when you calculate the width/length of your fixtures (as described above). To ensure a flawless design, use the same fixture style throughout. 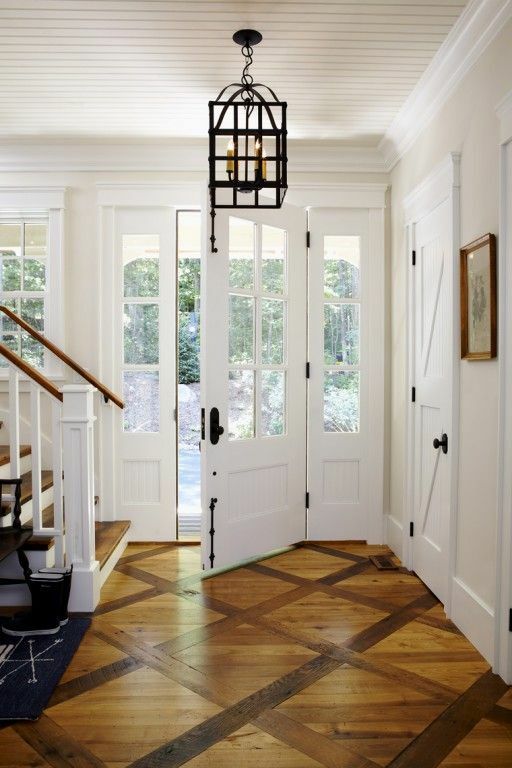 If the hallway is really long, you may want to consider wall sconces for additional light. Sconces should be hung 5 feet from the floor, spaces 6-8 feet apart along the wall. 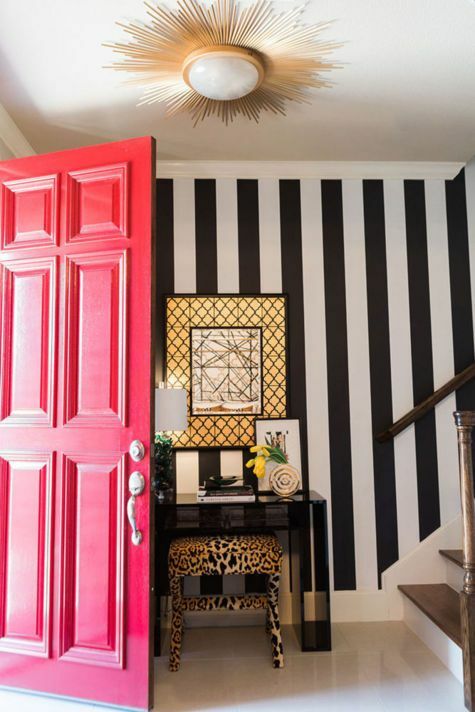 Here are a few more great entryway/hallway designs for inspiration.